Roderick was educated at Dollar Academy. He graduated from the University of Strathclyde with a degree in Scots Law in 1980 and completed the Diploma in Professional Legal Practice the following year. He completed his traineeship with Messrs MacLay, Murray and Spens, solicitors in Glasgow and Edinburgh. He joined Walker & Sharpe in November 1983 and became a partner in October 1986. 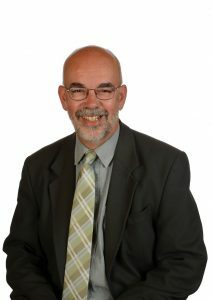 Roderick practices in domestic, commercial and agricultural conveyancing. He is Clerk to Nith District Salmon Fishery Board and has a special interest in Game Fisheries Law. 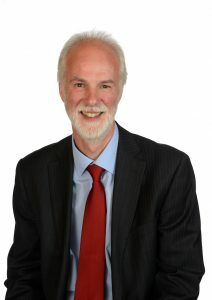 Educated at Dumfries Academy and thereafter at the University of Strathclyde, David graduated with a degree in Scots Law and Diploma in Professional Legal Practice in 1983. He completed his traineeship in Glasgow, and then returned to Dumfries, where he became a partner with Gillespie, Gifford & Brown. David later joined Walker & Sharpe as a partner in February 1998. He practices in criminal law and road traffic law. David has over 20 years’ experience representing clients who have been accused of the most serious crimes, including murder and sexual assault. He regularly appears in Dumfries Sheriff and Justice of the Peace Court and other Courts throughout Scotland. Lister was educated at Madras College in St Andrews and then Dundee University. He joined Walker & Sharpe in 1991. 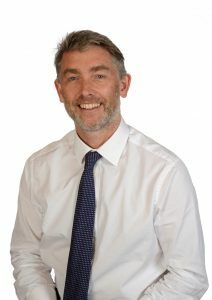 Lister specialises in family law, and has a broad civil practice covering accident claims, contract disputes, employment law and debt recovery. He became a partner of the firm in 1994. Lister is often requested by the Court to prepare child welfare reports in particularly difficult cases where there is a dispute involving a child. Lister is also frequently appointed to act on behalf of children by the Sheriff. He is a member of the Family Law Association. Outside of law, tennis is his main passion having played up to county level. He is a qualified tennis coach and is currently Secretary of the Dumfries and Galloway Tennis Association, which is involved in all aspects of developing tennis in the region. Neil graduated with a degree in Scots Law with Honours and Diploma in Professional Legal Practice from Edinburgh University, before training with Messrs Russell & Aitken in Denny. He relocated to Dumfries in 1997, before joining the team at Walker & Sharpe in 2002. 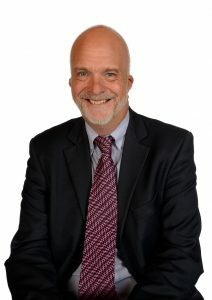 Neil practices in domestic and commercial conveyancing and has a wealth of experience in property related matters. 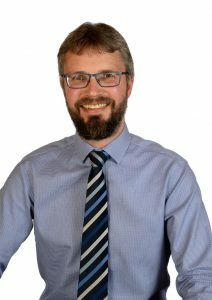 When he is not working, Neil enjoys spending time (in the great outdoors whenever possible) with his wife and children, and has recently discovered an aptitude for musical theatre, having joined the Dumfries Musical Theatre Company. Graham was educated at Bannerman High School, Glasgow. He graduated from Strathclyde University in 1981 and gained his Diploma in Legal Practice in 1982. He completed his traineeship in Hamilton and relocated to Dumfries in 1985. Graham became a partner in Hewats, Castle Douglas in 1986 thereafter joining Austins, Dalbeattie, where he was assumed as a partner in 1992. Graham joined Walker and Sharpe in 2015 as a Consultant. 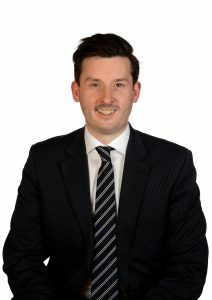 He practices in residential conveyancing and private client work including Wills, Trusts and Executries, and has an interest in elderly client care. 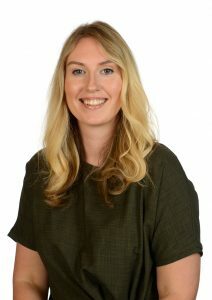 After studying locally at Dumfries Academy, Carolyn went on to graduate from the University of Glasgow with First Class Honours and obtained her Diploma in Professional Legal Practice in 2008. She trained for two years with the Crown Office and Procurator Fiscal Service, practicing in Edinburgh, Glasgow and Dumfries, where she then worked as a qualified Procurator Fiscal Depute until joining Walker & Sharpe in 2012. Carolyn practices in criminal law, road traffic law, civil court work and family law. Carolyn is a member of the Family Law Association, the Medico-Legal Society, and SASO (Scottish Association of the Study of Offending). In 2016, Carolyn took part in a Fatal Accident Inquiry at Dumfries Sheriff Court, making her one of only a few local solicitors to have experience in such proceedings. Vivien hails from Renfrewshire. Having originally studied History and Politics, Vivien graduated from the University of Strathclyde with Honours in History in 2002. After working in the equalities field as a Race Equality Officer and in Community Development, Vivien undertook a Post Graduate Diploma in Equality and Discrimination before returning to the University of Strathclyde as a graduate in 2007, to study law. She undertook her training with the Crown Office and Procurator Fiscal Service, practicing in Edinburgh, Paisley and Dumfries, before joining Walker & Sharpe in 2013. Vivien has a particular interest in social justice and in representing some of our most vulnerable clients both at court and in Children’s Hearings, and practices in criminal law, road traffic law, and family law. Shannon graduated from Robert Gordon University in 2010 with a degree in Scots Law with First Class Honours. She worked within the legal sector while undertaking her Diploma in Professional Practice part-time, graduating from the University of Strathclyde in 2013. Shannon qualified as a solicitor in 2015, and joined the team at Walker & Sharpe in 2016. Shannon focuses primarily on private client work, including Wills, Trusts, Executries, and Powers of Attorney. 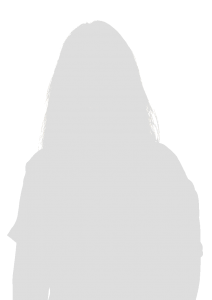 She has a keen interest in Adults with Incapacity work and has been appointed by the court to act as a professional Guardian to clients who are incapable of making decisions and safeguarding and promoting their financial interests. She is an Affiliate Member of the Society of Trusts and Estate Practitioners (STEP). Shannon also practices in family law and child welfare, and is a member of the Family Law Association. Dominic was educated at Dumfries Academy. He studied History and Politics at the University of Strathclyde, before undertaking an accelerated law degree, graduating in 2012. Thereafter, Dominic commenced his training with local firm John Henderson & Sons, qualifying as a solicitor in 2014. Dominic joined Walker & Sharpe in 2017, and practices in all areas of criminal law. He has a wealth of experience of representing accused persons at both Solemn and Summary level, and has considerable experience conducting trials and exceptional hardship/special reasons proofs in the Justice of the Peace and Sheriff Courts in Dumfries and further afield. Dominic is also a member of the Medico-Legal Society and Scottish Association of the Study of Offending (SASO).